Metcheck.com - Weather News - High Pressure Returns. 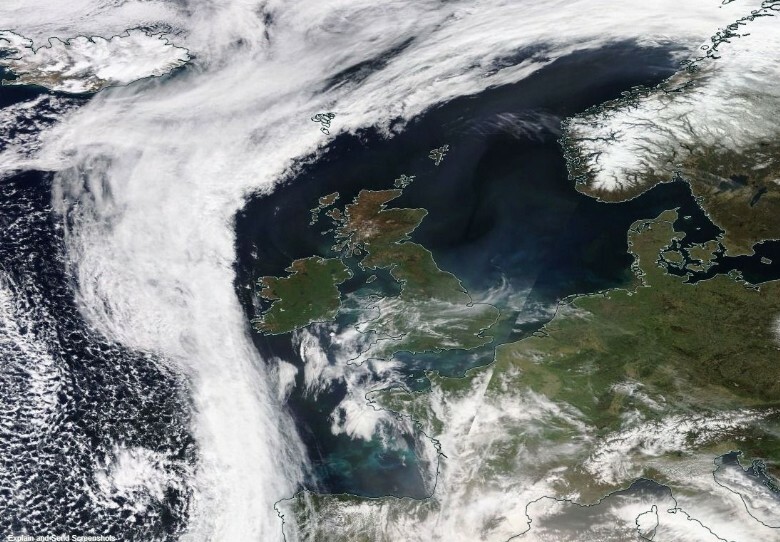 Following the unsettled conditions of recent days, the new working week sees a change in the weather as high pressure returns bringing plenty of settled weather with it, especially towards the south and east. 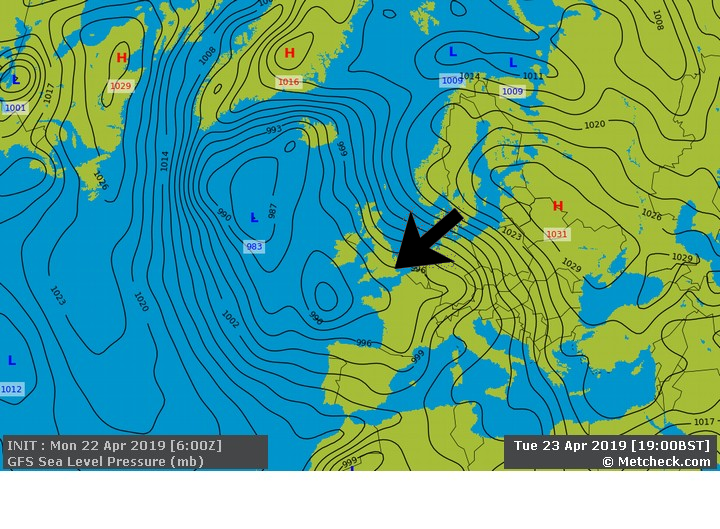 With this high establishing itself over mainland Europe, then milder south/south-westerly winds will be developing across many areas as we head on through the week. This morning is start off on a cold note though with some frost around where skies cleared overnight, especially across more northern regions. There will be plenty of sunshine developing though and for much of the country Monday will be a dry day with sunny intervals. 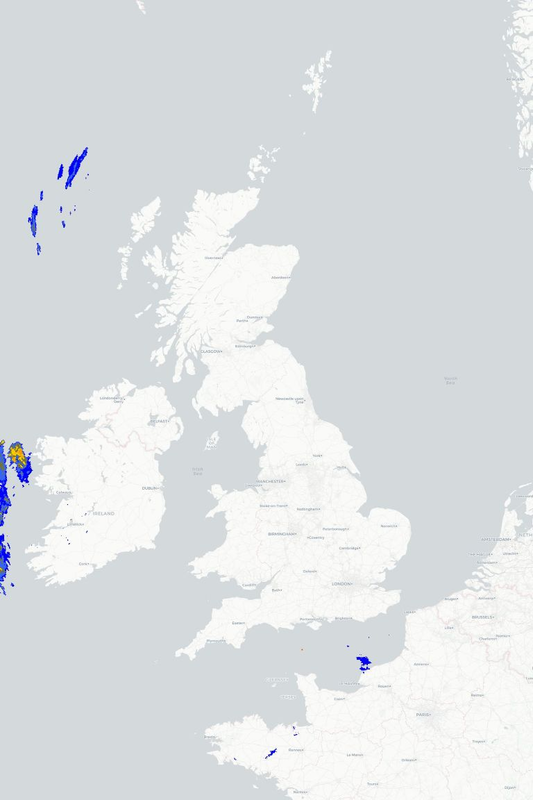 The odd scattered shower is possible across eastern coastal districts this morning, and some rain will move into the Republic of Ireland, Northern Ireland and western Scotland late on with the cloud associated with this system tending to spread eastwards across many areas turning the sunshine increasingly hazy. After that chilly start temperatures will pick up to near normal values, ranging from 3°C to 7°C in the north and 7°C to 11°C in the south, but with light winds it won't feel too bad although those winds will pick up in the west later. It turns chilly in the north and east for a time tonight with some patchy frost, but on the whole temperatures won't drop too far thanks to cloud continuing to spread in from the west, this cloud bringing outbreaks of rain and drizzle in across many northern and western regions, with some snow over the Scottish mountains for a time. This means a rather dull and damp start Tuesday in the north and west with some rain and drizzle at times, but the further south and east that you come the brighter it will be.